Every year on the 18th of July, the world celebrates Nelson Mandela Day. A day that calls for action to make the world a better place. 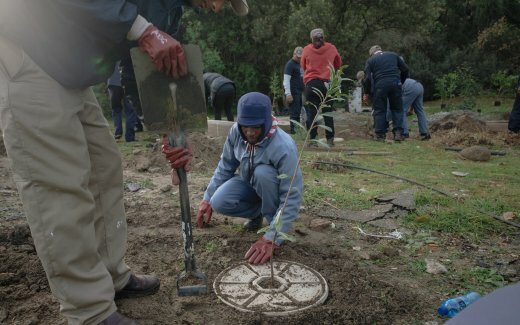 South Africans dedicate 67 minutes of their time, one minute for every year of Mandela’s public service, to build solidarity with each other and contribute to a global movement for good. 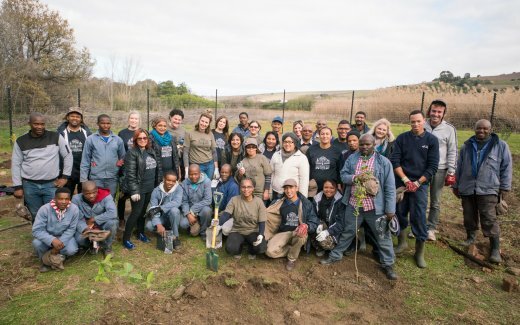 Land Life Company, working with WWF and Spier Wine Estate, spent this day replanting native trees in nature rehabilitation sites at Spier Winery estate in the Western Cape, South Africa. 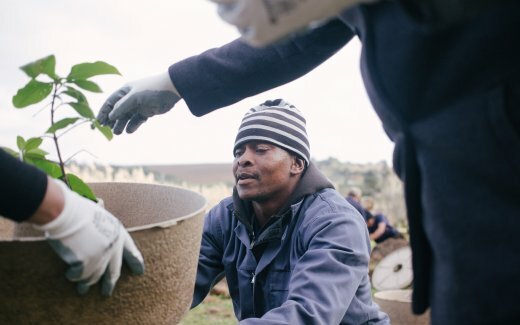 The Land Life and Spier team spent their 67 minutes learning about nature restoration, the importance of biodiversity, the threat of invasive plants and planting trees with the Cocoon. 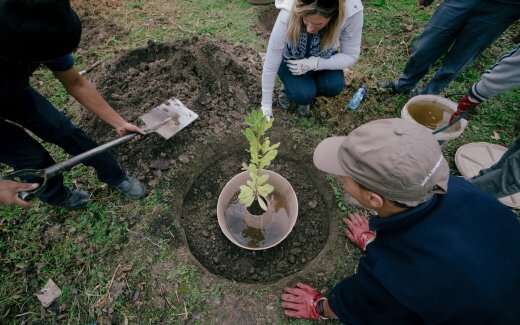 Everyone agreed that it was an inspiring way to celebrate Mandela’s life and legacy while working towards a sustainable future. Nelson Mandela’s African name – Rolihlahla – means the one who shakes the tree, the one who unsettles the status quo. Established in 1692, Spier is one of South Africa’s oldest wine farms.